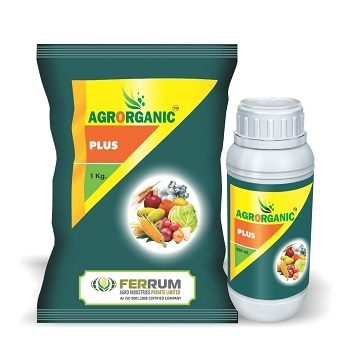 AGRORGANIC® PLUS for Plants is a pure seaweed concentrate made from fresh seaweed stems the richest source of natural growth stimulants of any seaweed worldwide. Most liquid seaweed extracts are manufactured from dry seaweed, that is then reprocessed to convert it into a liquid. Agrorganic Plants is made from fresh seaweed, to capture all the essential substances known as natural plant growth regulators found in the stems of fresh seaweed. They are also involved with shoot growth, flower and seed development contributing to increased yield of some crops by delaying the dying off process (leaf senescence) and extending the growth period. For optimum plant uptake, foliar spray early in the morning or cool of the afternoon. Packing: 50 Kg/ Ltr Packing.